SunMaster Products, Inc. is proud to offer sun shade systems of the highest quality at affordable prices to all of Valley Center. Our sun shade products include stationary and retractable awnings, canopies, interior and exterior solar screens, blackout shades, drop roll curtains, sunroom shades, skylight shades, and patio cover shades. In addition, we also provide professional fabric die cutting and production sewing services. At SunMaster, we have a full service, state of the art sun shade system fabrication, fabric die cutting, and production sewing workshop onsite at our North San Diego facility, and do not outsource any of our manufacturing processes. For this reason, we can offer our exceptional quality products and services at very competitive prices, and are San Diego County's best value for sun shade system installation, fabric die cutting, and contract sewing services. 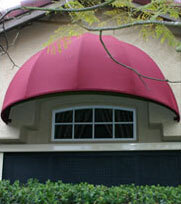 SunMaster is a family owned and operated business, and since 1971, we have provided our exceptional quality sun shade systems, fabric die cutting, and production sewing services to tens of thousands of residential, commercial, industrial, and institutional clients throughout San Diego County, and have a well-established professional reputation in Valley Center and throughout our service area. Our experience and expertise is unmatched in the industry, as is our commitment to offering personalized customer service to each of our clients. Call SunMaster Products today from Valley Center. Our office hours are Monday through Friday from 8:30 AM to 4:00 PM. We accept Visa, Mastercard, Discover Card, and American Express. 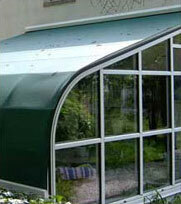 SunMaster Products, Inc. is licensed, bonded, and insured. PVC Coated Polyester/Fiberglass Mesh - Phiffer, Textilene, Mermet, and others: In a selection of colors and densities - featuring 70% to 97% UV/Sun blockage..
100% Solution Dyed Woven Acrylics - SSunbrella and Dickson: In over 350 colors and patterns, which are water resistant and provide 99.9% UVA/UVB blockage. At SunMaster, we are a full service fabric die cutting and production sewing contractor, and can manufacture anything conceivable which can be created out of fabric. Our experienced sewing technicians can work with an extensive array of fabrics and materials for Valley Center businesses and manufacturers, including: cotton, polyester, nylon, acrylic, kevlar, leather, rubber, tyvek, screen cloth, vinyl, lycra, pvc-coated polyester and fiberglass, webbing, foam, cordura, and thin plastics. 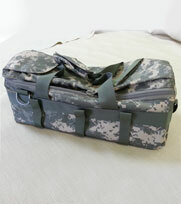 In addition, we also offer custom embroidery and silk-screening services. We are a Mil-Spec compliant contractor (Cage Code 30FW3), and will also pack and ship your end product to the destination of your choice. Call us today for a free estimate on your fabric die cutting or production sewing project. Depend upon SunMaster for commercial awnings and custom graphics which will provide your Valley Center business, industrial facility, or institutional facility with a bold and sophisticated architectural statement which will also enhance your organization's visibility and name recognition. At SunMaster, we have the capability of custom-designing entry awnings and canopies, store sign awnings, and window awnings – in an extensive selection of fabric types, colors, patterns, and densities. Moreover, all of these awnings can include your organization's name and logo, hand-painted by a professional graphic artist in an extremely durable fabric grade latex paint which will not chip, flake, or fade. Trust the sun system specialists at Sunmaster to design and install the ideal fixed or retractable patio cover or drop roller curtain system for your Valley Center home or business patio or deck. At SunMaster, each retractable patio cover shade or drop roll curtain system we install in Valley Center is custom-designed and fabricated for the specific home or business property where it will be utilized. Our retractable patio cover shades and drop roller shades can be attached to both wood and aluminum patio covers, and are available in an extensive selection of fabric colors and types – both solid and open weave. The purpose of sunrooms and skylights is to add natural light to the interiors of residential, commercial and industrial structures, as well as to provide an attractive architectural feature. However, sometimes the sunlight and heat that sunrooms and skylights admit to these spaces can be excessive, and it needs to be filtered or blocked for optimal indoor comfort. 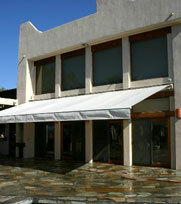 At SunMaster, we can manufacture our sunroom and skylight shades out of a choice of fabric types, both solid and open weave, which are characterized by varying degrees of light and thermal blockage, in order that our valued Valley Center clients can choose the ideal shading system for their needs. At SunMaster, our awning recovering service can help to prolong the life of your existing Valley Center home or business awning system. We can recover both fixed and retractable awnings, in a wide selection of fabric types and colors, and can also repowdercoat existing awning framework in a choice of over 100 powdercoat finish colors. In addition, we can perform awning repair, and can replace lateral arms and other awning components as needed, for optimal retractable awning functionality. 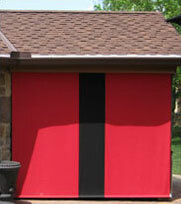 We also design and fabricate tarps and equipment covers for Valley Center businesses and industrial facilities. Our extremely durable tarps and equipment covers can be sized to fit any type of equipment or machinery, and provide a very effective shield against the elements. They are offered in a choice of fabric types, patterns, and colors, including Sunbrella solution dyed woven acrylics; and Weblon, Vanguard, and Ferrari 100% waterproof vinyl coated polyester. Sunbrella fabrics come in over 350 colors and patterns; and Weblon, Vanguard, and Ferrari vinyls are available in many solid colors, and provide 100% UV blockage. At SunMaster, we offer both our interior and exterior solar screens in a selection of fabric colors and types, and a choice of manually operated and motor operated systems. During warm spring and summer weather, thermal gain through windows and glass doors which receive direct sunlight can be a significant contributing factor to the need for excessive air conditioning system operation, and can lead to higher than necessary cooling costs at your Valley Center business or home. Help mitigate this issue by installing attractive and affordable solar screens from SunMaster Products, an investment that will pay for itself over time in decreased utility bills. Contact us today. Call us from Valley Center today. We service all of San Diego County and the surrounding areas, and are licensed, bonded, and insured.